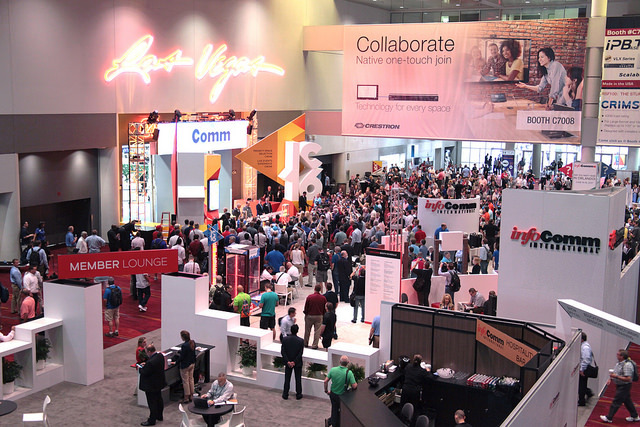 "In terms of visitor numbers InfoComm 2016 fell slightly short of the 39,105 figure reported from the 2015 show. It’s hard to draw comparisons however when the yearly events alternate between locations on the East and West coasts of America and the 2016 figure of 38,833 represented a 4.8% increase in visitors compared to the last time the show was held in Las Vegas (2014). Probably unsurprisingly the area that seemed to feature the biggest leaps in innovation was the Unified Communications and Collaboration (UCC) Pavilion. Everyone we spoke to there said business was improving year and year, and clever products were either being launched, or updated throughout the pavilion during the show."